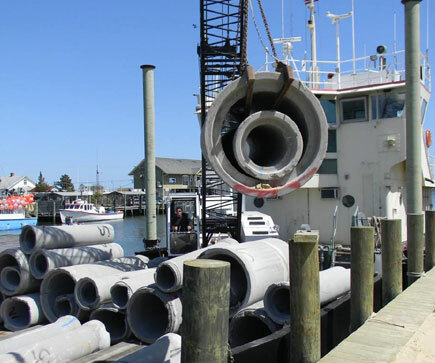 The Ocean City Reef Foundation, Inc. was established in 1997 by parties interested in supporting artificial reef development off Ocean City Maryland. The Foundation's initial purpose was to serve as a source of non government funding to supplement the Maryland State Reef Program so that timely responses could be made when materials of opportunity became available. When the State of Maryland terminated its reef program June 31, 1997 the Town of Ocean City assumed responsibility for the permits needed for reef construction. The Town assumed this responsibility under the condition that no Town revenues would be spent on the program. This meant that the Foundation had to assume the program management and operational duties that were previously done by the State. The foundation consists of a four officers and a board of directors that is responsible for the day to day activities associated with the program. The Ocean City Reef Foundation was certified by the U.S. Internal Revenue Service as a 501c3, tax exempt, non profit organization in 2001. Donations made to the foundation are tax deductible. The Ocean City Reef Foundation is Dedicated to the Sustained Improvement of Recreational Fishing and Diving in Maryland's Coastal Waters through Habitat Management, Public Education and Conservation of Natural Resources. Most of the ocean floor off Maryland consists of gradually undulating shoals and troughs comprised of sand, broken shell over mud or clay. This relatively simple landscape is inhabited by organisms capable of burrowing into the bottom sediments for shelter (eg., clams and worms); those that carry their own defenses (eg., sea robins, rays and skates); or are nomadic schooling animals that either filter food from the water, such as menhaden, or grub food from the bottom, such as drum, dogfish, skates and rays. When solid structures are encountered a much more diverse population of animals can be accommodated. In tropical waters structured communities are, typically associated with coral reefs. In the Mid Atlantic, structured communities are associated with rocky outcroppings, wrecks and live bottoms. Rocky bottom is rare off Maryland and once prolific live bottom areas have been severely reduced due to industrialized harvest practices. Shipwrecks support important fisheries off our coast but these wrecks are disintegrating with the passage of time and are not being replaced rapidly enough to offset the decline. Shipwrecks also are environmentally unhealthy and often occur at inconvenient locations. A managed reef program provides a means for placing structured habitat at optimum locations with minimum adverse environmental and social impacts. stable enough on the bottom at selected locations to stay within the boundaries of our permits. of suitable structural qualities to provide shelter for reef fish and invertebrates. All these materials serve as the starting point for a reef community. Fouling animals such as barnacles, mussels, sponges and coral use the new material as a foundation to create a living reef which is no different than other so-called natural reefs. These in turn host populations of fish, lobsters, crabs and shrimp that feed on the reef and are food for other critters.